Your one-stop-shop for all your sandwich labelling needs! On-going remote support – without any fees! Positive ID Labels offer a range of sandwich labelling systems for any end user. Our systems range in specification to meet the needs of any sandwich manufacturer. Whether you are a small deli selling 100 sandwiches a day or a large producer manufacturing thousands, we have a system suited to your needs. We offer desktop and industrial sandwich labelling systems that are easy to configure and run on a day to day basis. 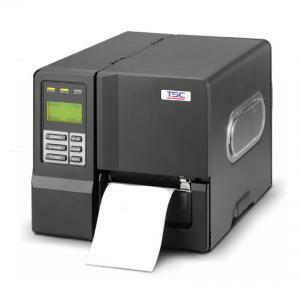 Our starter packs include a 4-inch desktop thermal label printer and the software to run it. Our industrial sandwich label printers can print labels at 14 inches per second, reliably and efficiently. We can provide either a printer or a printer and computer dedicated just to run your sandwich labelling system from. Just add £250 to the pack price and we will provide an 11″ notebook pre-installed with your software ready to plug and play. All you need to do is add the data! *Hire Purchase from positive ID Labels spreads the cost of your label printer and gives you peace of mind. Leasing is for 24 months after which we will give you the printer free of any further charges. Your printer is guaranteed for service, support and parts during the lease period. Support after the lease period is guaranteed so long as you are buying your sandwich labels from us. Unlike the competition, Positive ID Labels offer set up support when you buy our system. 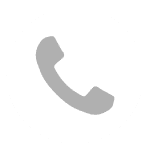 We can log into your computer (with your consent) and complete the driver and software installation and give you full training over the phone whilst connected to your computer. As long as you are buying your labels from Positive ID Labels you will also receive full free on-going support too – a service no other supplier in the UK provides. We will offer to backup your labelling system and keep your labelling files safe on our servers – if you suffer from computer failure or worse, we have got your data and can have you back up and running within the hour. No other UK supplier offers this service! All of our systems run on Windows computers – Windows Vista, 7, 8, 8.1 and 10. All of our sandwich labelling systems can be operated from a standalone keyboard. This means you can program the system, disconnect it from your computer and run it independently from your office. Some limitations apply. All of our systems can operate in “direct thermal” mode – this means there is no need to use ribbons with your label as the pigment is in the label material. With the exception of the 2″ system, all printers can use thermal ribbons – ideal if you want to use polypropylene labels. Unfortunately, our systems are not compatible with Windows XP (which is 20 years old). Positive ID Labels are a label manufacturer. We make labels for all industries but a major part of our business is manufacturing sandwich labels. As such, when you buy your sandwich labelling system from us you can be assured that you will receive not only the best performing equipment on the market and the best customer service levels available, you will also receive high-quality sandwich labels. We can help with your design and complete artwork free of charge with your order for labels and a sandwich labelling system. You really are dealing with experts. If you are manufacturing sandwiches for sale off-site, the law requires that you provide nutrition data with your products. You can benefit from our own software to calculate the nutrition data for your labels by buying Nutridata software. This nutrition calculation software has been specifically designed to deal with the Food Information to Consumers Directive from the EU. Call 01332 864895 now to get your Sandwich Labelling System enquiry under way. Fill in the form below or click the call back request on the right hand side of this page.